"Better and easy to monitor all your errors." I found that It’s simple to install all program steps. Also, I can say that it is very fast to study and ready to the capability to everything that we need. I can get solutions quicker with logs, mistakes, and control across surroundings. Actually, any bad errors do not come across in our work. The platform works good and gives the better monitoring system of our problems. The software has a big opportunity and can allow a lot of wonderful things. With this platform, you can know what's going on at your work and chance to know what to work first. You can manage all working routines much better. Don't worry everything that you will need will be in right place. We are glad that we can much better to work on control all our mistakes. Helps to us to find an error and with a nice way to solve them. Great and clear working process for all team. "Great DevOps product right out of the box!" Log aggregation was my favorite feature for quite some time and is still one of my favorites, but I am a big fan of Prefix now. The ability to profile your web app during development is a great feature. Then with Retrace you can profile your production systems as well. Beyond this, the dashboards provide the window directly to your systems, stacks and help interrelate software and hardware systems, even across multiple data centers and cloud sites. There aren't many things I would say I dislike. As with any system like this, there is configuration time, but Stackify does aim to have fast configuration while you are involved with it. Prefix is free and is a great way to get started using one of the products from Stackify without having to incur expenses while you realize some benefits. Until Stackify, there was no one tool to do monitoring, performance dashboards, log aggregation, APM and more. This same technology would come with half a dozen or more products and even more expense several years ago. Stackify provides all of this functionality out of the box, in one package and provides you the actionable insights necessary to target problems when they happen and point you directly to where they are happening and all systems/software affected. A product like Prefix does so many things to aid development and is free! It's hard to beat that. "Stackify Is the Best Monitor for DotNet Projects"
IT makes it so easy to see how long processes are taking and, more importantly, what ran as part of that process and how long each of those parts took. Finding and addressing database performance issues is made easy as it shows exactly what queries run and how long they take. It can sometimes be difficult to filter out some of the DotNet overhead (e.g. garbage collection) that can make a usually fast task slow occasionally. Couple Stackify with Prefix (prefix.io) on the development machines, and you have a great performance toolset for all of your developers and support people. Stackify gives insight as to how things are running on the servers; Prefix gives insight as to how things are running in a development machine. Providing support for an application. Stackify helps us insure that the application continues to run and performs well. Effective for bug management and fixing them at a rapid pace and gives in depth performance and error monitoring of application on different servers and there is an option to include both API as well ,the environment has a lot of variables to send regular updates and data about crash logs,error logs,capture statistics and also monitors the regular required app at a specific point of time and we have deployed across multiple teams so far . "Stackify - a great Tool for monitoring your app"
Great tool to see what is going on within your application. If you set it up correctly, you can get in depth information on what the app is doing and where there are failures. The log monitoring comes in very handy and it used on a regular bases when trouble shooting issues. sometimes the search functionality can be a bit irritating. If you have large logs, drilling down to the right thing can sometimes be difficult. This tools allows you to really get granular on issues within your application. It gives even non-tech users insight into what is going on. We are solving the visibility of issues problem. I can look at a per user basis what is going on in the logs and see where the application failed. "The easy way to get rid of logging management"
Very easy to handle for a moderate price. The "Error-View" is one of our most used features and helps a lot to find, analyze and keep track of bugs. If you're using services/tools like docker, aws, azure or bluemix it is a must have. The performance of the web-app is not always the best. Especially if you're changing some filters on the log-view. We're using Stackify to find potential misbehaviour in our software and to improve the performance of our Support-Team. Most of our incoming tickets can be solved or least linked to our trace/error-logs in stackify. "Great for Developers new to Full Stack development"
Being at a company new to full Stack Development, Stackify was a great way to see all the logs from full stack Apache, NodeJS and CentOS all in one place in a graphical format, without having to manually tail logs and find the right timestamp and compare logs in different formats. It took a long time to configure and get the logs out of all the systems in a format we could understand a use efficiently. With Prefix and ReTrace I can really narrow field down and pin point issues without expending hours of troubleshooting and log traces. Nothing, the tools are all around fantastic solutions. Cost is reasonable, implementation is easy. One of the few things in this world that just works. Try it before you buy it. You will find that this product is well worth the cost savings of having to re-deploy the code. In comparison to other products the cost is much more reasonable. You will get a greater bang for you buck by going with Stackify. Through utilizing Prefix I have been able to discover issues that normally wouldn't have shown up even in QA. This allows me to catch that problems before end users notify of bugs. This has saved countless hours in troubleshooting and re-deployments. "Server Side Error Monitoring Made Convenient "
The ease of profiling an entire application is why I would recommend this APM. A single install / config and you are ready to go. The instant dashboards and pretty much automatic alerts make implementation seem pretty simple. No client side monitor for network/java script. Feels like I have 1/2 the story sometimes. The charting and graphs could be a bit stronger. I feel like You get what you get, there isn't a lot of opportunity to extend above and beyond their implementation. Make sure it does what you want, there are a couple of options, all good. We are in the space of Education, so ensuring systems are up and accurate is top priority. I believe our time to troubleshoot has gone down with Stackify. "it is awesome tool to find errors and resolve them as per erros and logs"
errors and logs helps me a lot about server whats going wrong into that and easily can see description By looking into Error and all occurrence I can easily see error description and cause of error. Alerts is second good option for me to monitor servers. It should give some details about disk space issue also. database and .net issues .In Production and other environment how many errors per hours I am getting . "Great Tools for Dev Ops"
Squashing bugs is hard. Stackify makes it easier. Their dashboard are simple and easy to manage. Their alerts are timely and effective. The product just works. It would be nice to see some BI built in to the product. For instance, if there were a performance hit, it would scan the logs and make suggestions as to what may have caused the slowdown. We use Stackify to monitor 5 different datacenter environments for our government customers. By having everything in one place - logs, error and monitoring - we can easily determine a direct correlation between performance and logging. This allows us to adapt quicker, improve our product offering and elevate our customers' overall experience. "Invaluable debugging and support tool"
Easily search and filter all application exceptions. Alerts on new exceptions encountered. Refreshing the page resets all filters. Instead of searching through server logs and event viewers, I can now easily search and visualize application errors from a single interface. Saves me an immense amount of time! Supporting live applications by setting up alerts on new exceptions encountered. "Complete information about an applications performance "
It provides an Integrated Application Performance Management (APM) system. You will have access to a centralized dashboard where you can find every detail, such as, application metrics, errors, logs, performance of the database etc. Also provides tools to monitor all your servers for both standards metrics (CPU, memory etc) as well as custom metrics. In the beginning though, you will need some training before anybody assigns a role to you to operate Stackify. The learning curve is a bit steep, however, once you get a feel of how things work, you will enjoy your job. Stackify gives you minute by minute update of your apps progress and performance. For example, it would provide a comprehensive exception (error) log and create a report that would help a developer analyze the sequence of events that led to an error, which includes the code stack trace and all the logs recorded when that exception thrown. Moreover, Stackify makes it easy to share vital information with team members. At any moment if you feel that you are unable to troubleshoot an issue, the system can email or text the detail to another member, who would know more about the issue and fix it. I have come across situations where I was involved in troubleshooting applications (web and desktop) and databases or monitoring the application performance, using different tools. Stackify unify all those tools, in a single simple dashboard. "APM made easy by Retrace"
I like the way Retrace has a web application, which allows me to access it via any device. Availability of tons of features is another thing that i like about Retrace. It's super easy to implement Retrace. Sometimes it is a bit hard to customize Retrace during initial setup. Stackify helped us isolate a production problem that has been an issue for years. It breaks down the processes and helps identify where to start looking. It is not possible to get all of the error reporting and log files into stackify with Red Hat 5. However, that does escalate our need to upgrade our OS! Give this product a try and spend the time learning its capabilities. We are trying to solve production latency problems and problems with our JVM running out of threads. Stackify alerts us real time of these issues so we can apply resources when needed. I love the ability to drill down into the offending service that is causing slowness. This allows much faster turn around to bring server stability back up. I wish the product offered a dashboard to put some of the top items I'd like to monitor onto a single screen. I am reviewing server stability to head off system outages for our customers. "Stackify helps a growing business"
It is easy to setup, maintain and manage. Once it is running it works great. The UI was a little clunky when I first started using the product, but they have made improvements. I'm able to manage performance and bugs across many servers and applications with minimal staff. "Great for monitoring our servers"
The logging ability and filters that you can apply to the search. When we catch errors, we display the Stackify ID in our exception details and use it as a filter in Stackify to view the full stack trace. Clients don't care what it says, so it's nice to hide all the verbiage and they just tell us the Error ID. Also like the alerting capabilities. Helpful when you want to address concerns before they are reported by clients. Not much to dislike at the moment. It took someone to show me how to review the logs. It wasn't something that was easily understood using the UI and my limited knowledge with Stackify. Mostly web service errors. We have been able to discover trends and make attempts to fix issues. "Easy to use, quick results"
Retrace is just easy. Easy to install, easy to check, easy to know when something is wrong on your servers or applications. I'm mostly a developer with some ops responsibilities and the lingo in many cases eludes me. That said the defaults are good and I don't have to look to hard to find what I need. We are monitoring many servers, apps and databases for our bespoke systems. Having real-time alerts when something is crashing or about to crash has kept us in good standing with our customers. I like best that Stackify compiles all of the logging and performance management information which allows us to identify issues before they become too major and solve them faster. All the detail available on centralized dashboard is a great bonus as well. I dislike that there is no Java support available yet, would be great if Stackify adds it. Also, it wasn't easy to get started on, the time spent with training and learning wasn't beneficial but the benefits have made it worth it. "Stackify APM is easy to setup and provide detailed information"
The ease of setting up monitoring and log tracking on our integration and production environments makes this a great tool for monitoring out REST APIs. Getting configurations to enable more detailed stack trace collection while not slowing down a production environment is a bit of a fine art, but once you have it there is a lot of insight to be gained. We are using Stackify to monitor for unexpected errors or outages and to gauge our API usage and responsiveness. The dashboard seems a bit difficult to understand at a glance. Ability to quickly diagnose problems as they arise in prod. The support received was outstanding and the team aided issues with deployment, which in turn was configuration on the client servers. Some issues with the objects being sent to stackify Web portal and a learning curve for getting the monitoring just right. I've trials several other solutions, if you're on a dotnet stack stackify is a clear choice. SQL specific performance monitoring may require additional configuration. Solutions solved performance issues before even paying a cent, now an essential tool in QA testing and all development members use the tools. New implementations run through a full load test and monitor before go live. Thousands cheaper than competitors. "Very good software & customer support experience"
Simple installation, fast results. Extremely affordable APM software, ideal for development organization wanting to gain visibility into the health and performance of their stack. User experience could use some refinement -- there are some convoluted paths to get to information and many times you need to re-click the same options over and over. Gain visibility into several layers of release environments (8) with developer-centric results. power in log analysis really comes into play with applications. Through the use of byte code inspection Stackify provides deep insight into .NET applications. "Great tool for developers to monitor and troubleshoot their apps"
I now have one tool I can use instead of using 5 different ones to get the information I need to start diagnostic an issue. We were looking for a tool that will allow us to better understand what's going on with our cloud app, we were using Nagios for some pieces of the info some log aggregation tools and few other tools. Stackify integrated all these tools together making it easier for our team to find what we need to solve issues fast without the need to train on different tools. It does a great job at providing lots of useful information without it becoming overwhelming directing us to the relevant information needed at that point. All of the features are well thought out and it has proven very helpful at diagnosing and solving bugs in our application. I would highly recommend this product. It help us improve our app, and fixing problems faster. I like the prefetch feature for developers allows the dev team to be involved earlier in the process of mitigating production defects. 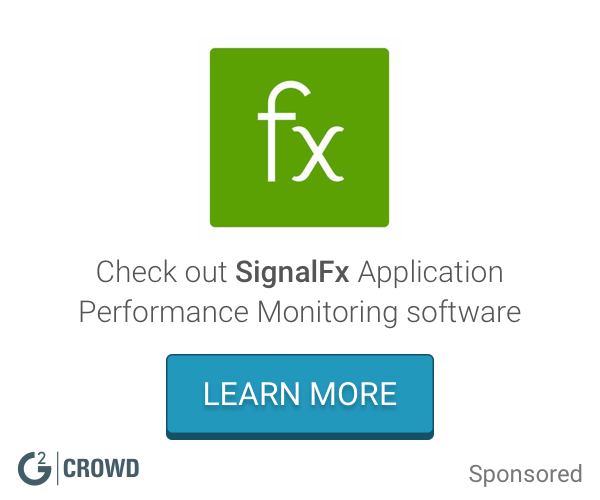 Missing features from other monitoring software such as NewRelic etc. Cost is a bit high compared to other monitoring solutions as well. We are trying to solve performance issues as well as application issues more proactively. "A great tool for team collaboration"
The code formatting tool. It's awesome. It supports multiple languages as well, and allows the user to save code snippets as files which makes it very easy to create a JS file from a snippet, for example. I don't think there's much more to say, just try it. The message history limit in the free version. Maybe increase a bit? An excellent tool for software development, especially when collaborating with people in other countries etc. In terms of software dev, better than anything else I've seen. Sharing code snippets with people far away. "Great product. Gives a great insight of our application"
"Very powerful log management solution"
Stackify has helped us improve the quality of our application in many ways we are not a lot more efficient, to a point where we are being proactive to issues rather than hearing about them from customers/customer support. Thousands of developers in thousands of companies are rapidly improving their applications with Stackify. It is a great tool and designed for developers. "Stackify in a enterprise environment with 300+ servers being monitored"
Easy install and little configuration needed to get useful metrics. We have had occasional slow downs from Stackify not being able to handle the amount of logs we generate. If you don't want to spend a lot of time configuring a tool to track APM this is the best tool for the job. Other tools can do more, however they need a team of people to manage them. We were able to quickly find a page in our system that had caused a cpu increase. 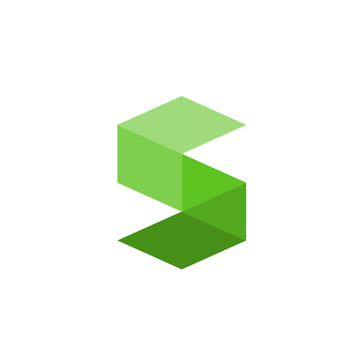 "Stackify - Best Application Performance Management tool"
Stackify does code profiling, allows you to know errors while writing the code itself. Also, for QA and testers there is retrace version to validate and optimize the code. the pricing of the product is high keeping in mind what it gives back to the user at the end. i am solving the performance issues of database. With help of it, finding the number or database hits based on time constraint, getting to know errors in database context and solving them efficiently. I love how you can tie events together with ID's, its great for debugging production issues. I hate that I have to choose the app and environment every time I choose a new time frame. Solving the problem of efficient production logging. "It is good t have in the products for support"
"Easy to Use, Very Powerful"
The setup and deployment of Stackify to our .NET applications is extremely simple. Just add a config setting, add an appender, and see the logs show up. Some of the search capabilities are lacking, and the log search does not remember your previous settings, so refreshing the page loses what you were looking at. With deployment to machines that not everyone has access to, having Stackify allows anyone to see the logs of the machines and determine problems. "Stackify is very helpful giving insight into what each application/service is doing"
It is quick, easy to use and quite intuitive. Would like to be able to set a 'home screen' so to speak, so whenever i log in, it takes me directly to what I want to see. We have been able to help track down memory leaks and orphaned SQL connections. The biggest benefit is that the server runs smoother and the database admins are not complaining about idle, open connections to the SQL server. Deep insight into .Net applications. Lots of information from server-based agent. Logging integration adds even more data. No on-premises server option. Agent required for every monitored system. No Java support at this time. This tool is very usefull and the api for log the information is great. Awesome Product, great dashboard having great features with minimal price. There is no feature as such which I dislike. I love their support and the ability to push updates automatically to our agents so we know we have the latest and greatest profilers. We are trying to bring visibility to performance problems and help troubleshoot issues before users notice any impact. The screen background is black. Can it be customized? "Good monitoring platform and prefix tools "
Good UI, most detail of monitoring point which include server healty, service, metric, and error, log view. Alert schedule is too simple. I can't find the detail for designing the alert time. I can only set the alert interval time and upgrade time. But I thinks it isn't enough. Service and Queue Monitoring problem, APM+, Error check. Log view. Error logging is a life saver. Particularly when you have an application that maintains thousands of active connections at any given time. Sometimes slow response times over queries longer than a day. It allows us to see problems in our application early, and provide fixes before customers are impacted. "Utilized stackify to analyze application utilization and performance data"
I have no dislikes for this product at the present time. * We monitor all Retrace reviews to prevent fraudulent reviews and keep review quality high. We do not post reviews by company employees or direct competitors. Validated reviews require the user to submit a screenshot of the product containing their user ID, in order to verify a user is an actual user of the product. Hi there! Are you looking to implement a solution like Retrace?